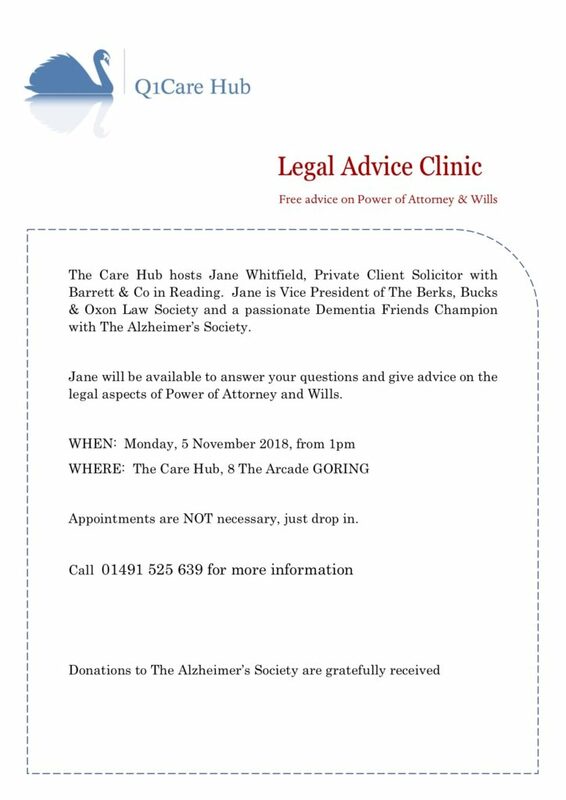 We are pleased to be able to offer, in conjunction with Jane Whitfield, Private Client Solicitor with Barrett & Co, a feee Legal Advice Clinic at the Care Hub, Goring on 5 November. Details below! Please contact us with any queries.